I will do reviews on the items in the box as I try them. The first item I purchased was the “Fifty Shades of Sheet Mask” box which is originally $50 but after my discounts, I got it for about $35. This is a super bargain as I added up all the masks I got and they totalled around $138. Craaaazyy good deal. I will definitely repurchase this box again when it pops up. This box sells out super quick, so get it while you can! 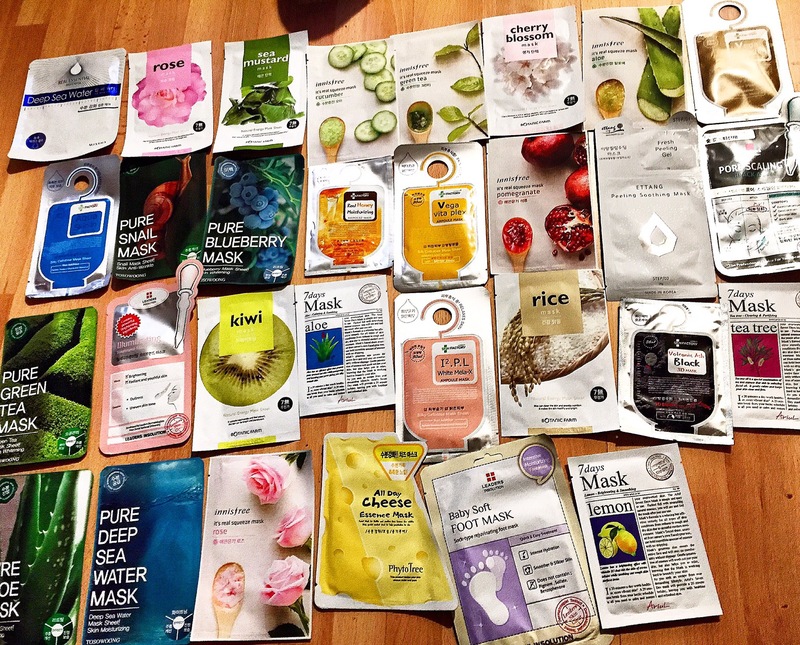 The masks I received were from Innisfree, Leaders, Missha, Tosowoong, Botanic Farm, Skin Factory, Ettang, PhytoTree, and 7 days masks. The next item I ordered was the “Tony Moly 90% Snail Gel.” This one is already one I’ve loved and I got it for a great deal at $5 for the large tub. I already reviewed this one in my “Snail On My Face” post. So, check that out for more. Thanks for reading! Hope everyone had a nice weekend!